Explore the new ideas that Panasonic’s young entrepreneurs have created to bring dreams to life! The Panasonic House is open March 11-14 and will showcase new inspirations as part of their Game Changer Catapult, including ambient video displays with curated video content service and new appliances that solve challenges to household well-being. 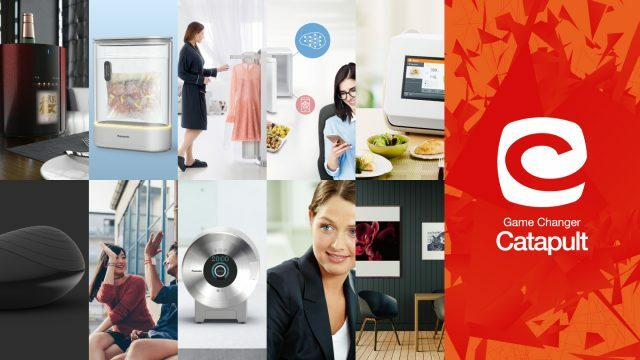 Discover new ideas for laundry solutions, wearable health technology, IoT wine and sake solutions, and more. In addition to the entrepreneurial innovations, Panasonic will provide healthy fermented food and lunch alternatives based around their innovative technology. Come see and meet the people behind these ideas! Keep up with the latest Gamer Changer Catapult News.